Welcome to Dominic's Italian Restaurant We invite you to join us for great food in a cozy and family friendly atmosphere. Enjoy authentic Italian cuisine with specialties such as Chicken Parmesan, Eggplant Siciliano, or our Homemade Lasagna . . . or great American fare such as our award-winning fish fry or the famous Godfather burger . . .and nobody can resist our pizza! We pride ourselves on providing our customers with the finest quality food and service at affordable prices. Whether a romantic evening or family dinner, Dominic's is your choice when you crave mouth-watering food, friendly service and a relaxing atmosphere. Stop in soon . . . we look forward to seeing you! Filled with our mix of cheese, sausage & breadcrumb stuffing. Wings- Choose from our 22 flavors! dressing). Cut into 24 or 36 servings. 48 Hour Notice Required for this item. choice of meat, fries and slaw. Served on our own Ciabatta and grill pressed to perfection. Includes salad and garlic bread. Topped with our blush sauce. Our facility is not wheat free. Gluten Free crusts are made off premises. Eight jumbo shrimp with fries, slaw and roll. Romaine lettuce, shredded romano cheese and croutons, served with Caesar dresssing. Lettuce, turkey, ham, provolone and cheddar cheese, hard boiled egg, tomato and black olives. Fresh spinach, bacon, hard boiled egg and onion served with spinach salad dressing. Please note: While we make every attempt to keep online prices up to date, prices are subject to change. Please verify menu prices when placing your order. Thank you for your understanding. Due to the increase in the cost of chicken wings, menu prices have changed. A gift card to Dominic's/JoJo's makes a perfect gift for almost any occasion! Whether they like to unwind with some drinks and friends in JoJos, or relax in our Italian Restaurant - a gift card from Dominic's/JoJo's is sure to put a smile on anybody's face! Gift cards are available in any denomination - if you would like to purchase one please stop in or call us today! Have a question, comment or just want to share a story with us? Use the form below to send us an email. We love hearing from our customers, and if your email requires an answer, we will get back to you ASAP! Please note - email is NOT monitored during all business hours! So if you need a same day answer please call us instead. If you would like to apply to work at Dominic's or JoJo's, click here. and may vary on holidays. JoJo's has been serving up great food and good times to Medina since 1989! With a newly renovated facility, a brand new outdoor patio complete with big screen TV's, and the funnest, friendliest staff in Medina, JoJo's has become a Medina favorite for relaxing, having fun with friends and catching all of the big games on our big screen TV's. JoJo's has undergone some major renovations over the past couple of years, and we are very proud to bring our customers nothing but the best of everything. 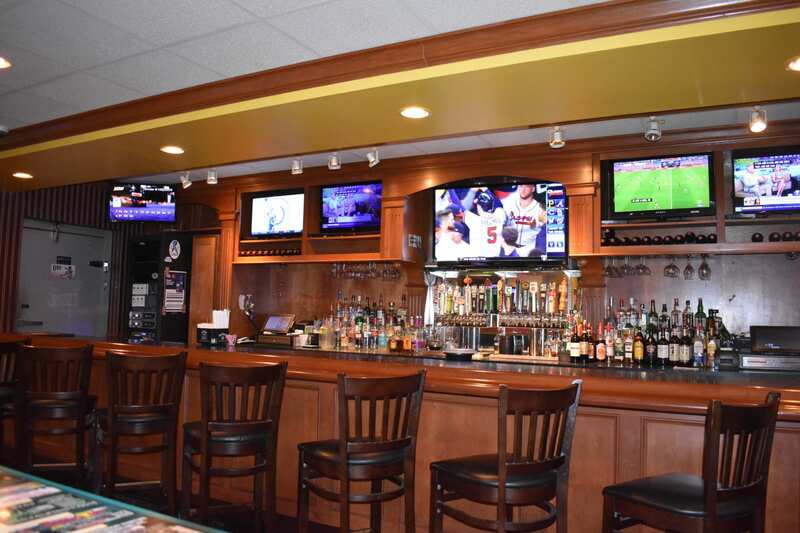 We have plenty of TV's, a beautiful bar, an amazing outdoor patio, the best staff in Medina, awesome food and more. All you can eat pizza, pasta, chicken, and soup. Please note - email is NOT monitored during all business hours! So if you need a same day answer or have a reservation, please call us instead. (red pepper, onion & celery marinated in our Italian dressing). Cut into 24 or 36 servings.